Childsplay, 2011, Lily’s Purple Plastic Purse. 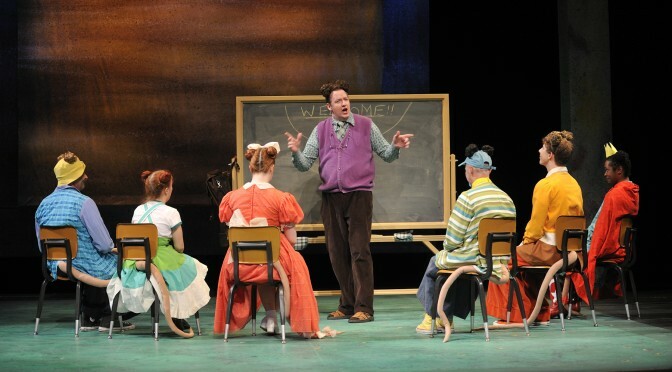 D. Scott Withers (center) as Lilly’s teacher, Mr. Singer. 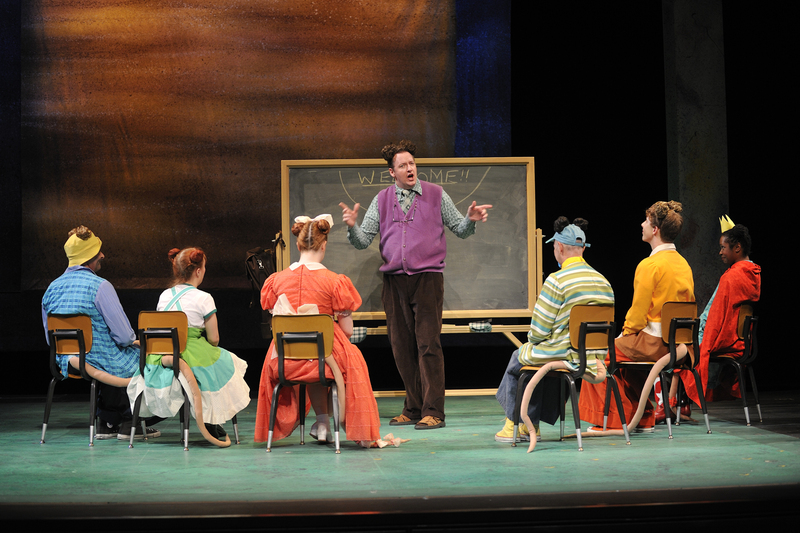 In 2011, Childsplay staged “Lily’s Purple Plastic Purse,” based on the best-selling children’s book by Kevin Henkes. The cast featured Yolanda London as Lily and D. Scott Withers as Mr. Singer, the teacher who confiscates her purse with its prized possessions. Lily gets angry and gains a measure revenge, only to feel the need to make things right again.